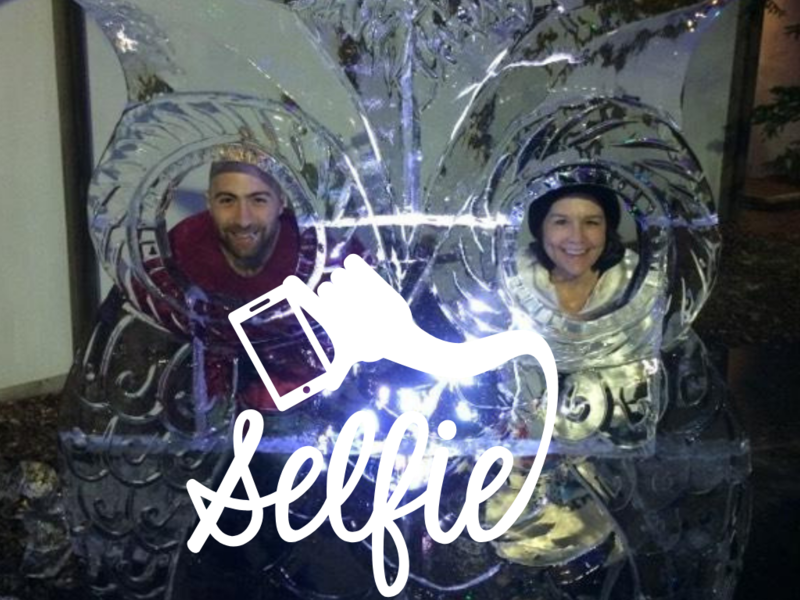 Come witness the master craftsmanship of the amazing Ice Bar made possibly by Riester Refrigeration and Treasure Island. 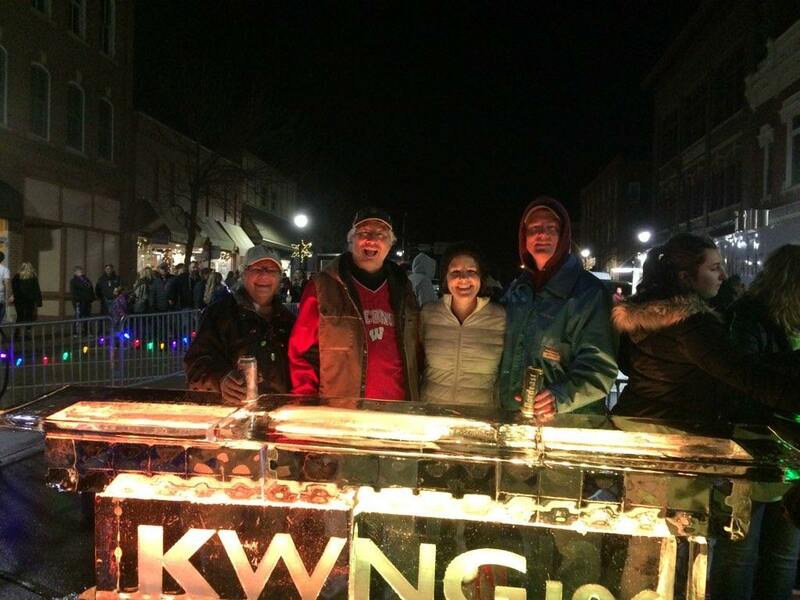 Make sure to stop by and grab an adult beverage. 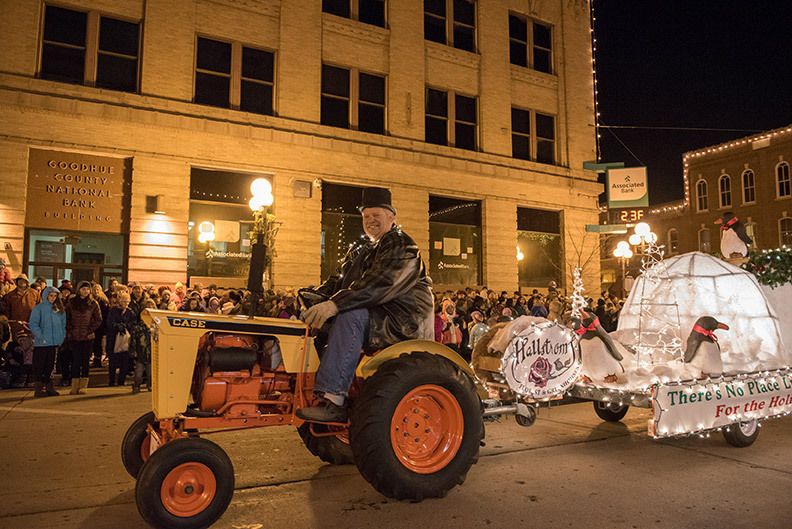 Located next to the live music on 3rd/Bush, it will be an experience you won’t want to miss. Have you been good all year? 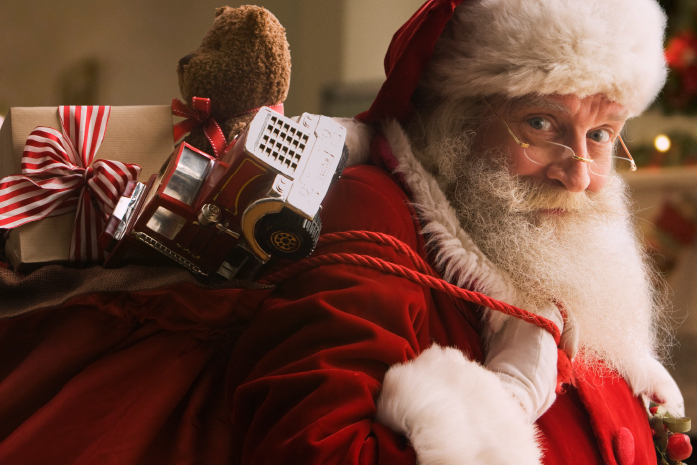 This will be your chance to meet Santa Claus and let him know what you’ve been wishing for all year. 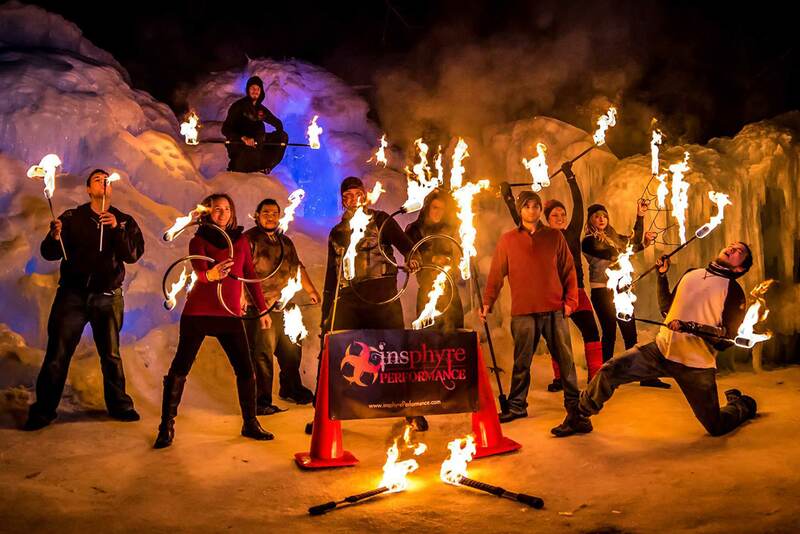 Witness this mesmerizing display of fire and dance. This will be an unforgettable experience for the whole family. 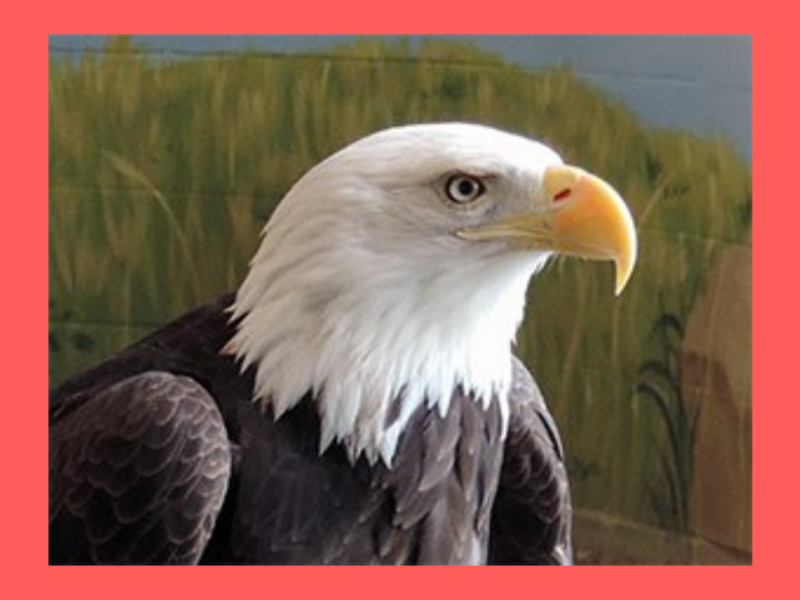 Come see one of the eagles from the National Eagle Center and learn about them. This is a must see for all ages. 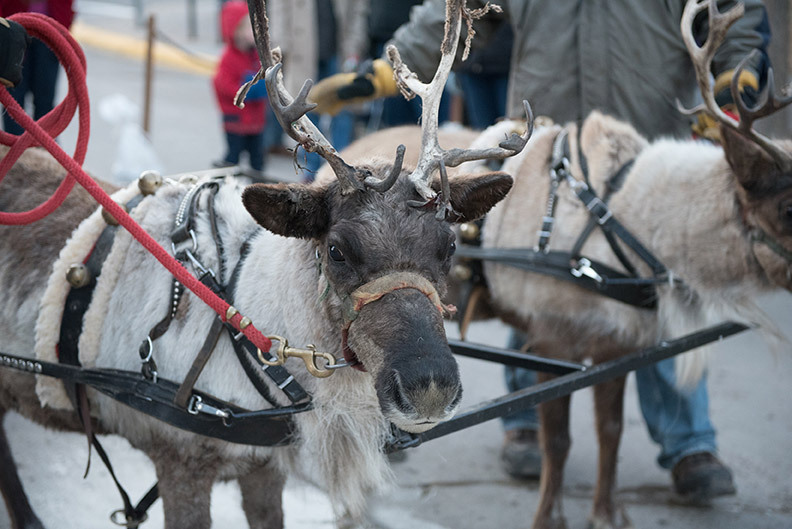 Meet Santa’s trusted friends, the reindeer, and take a sleigh ride through our historic downtown with its lights all aglow. 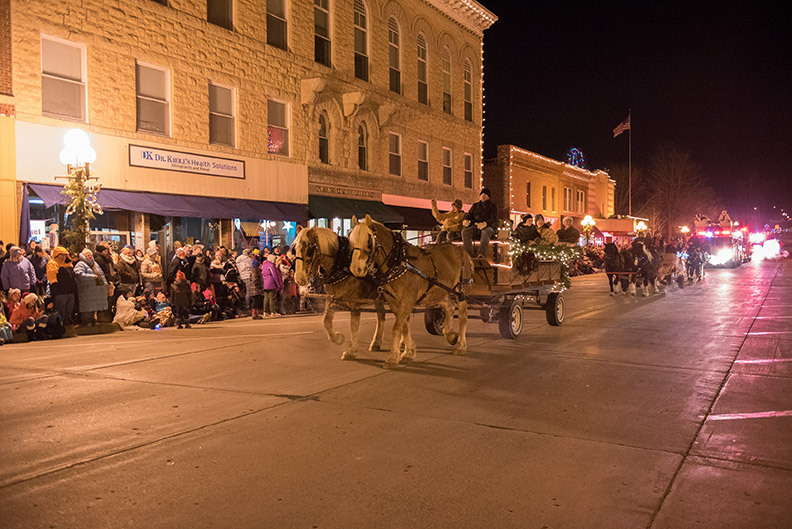 What better way to experience downtown than on an old-fashioned wagon ride pulled by a team of magnificent work horses? 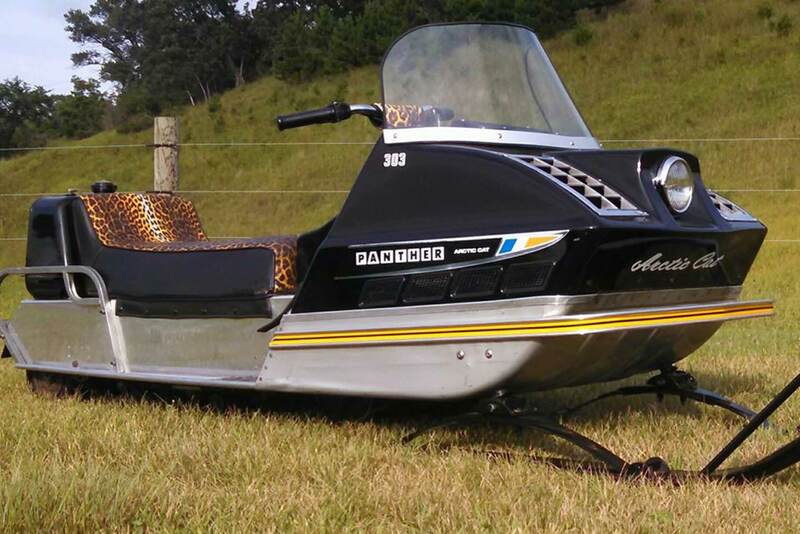 Come observe vintage snowmobiles put on display. 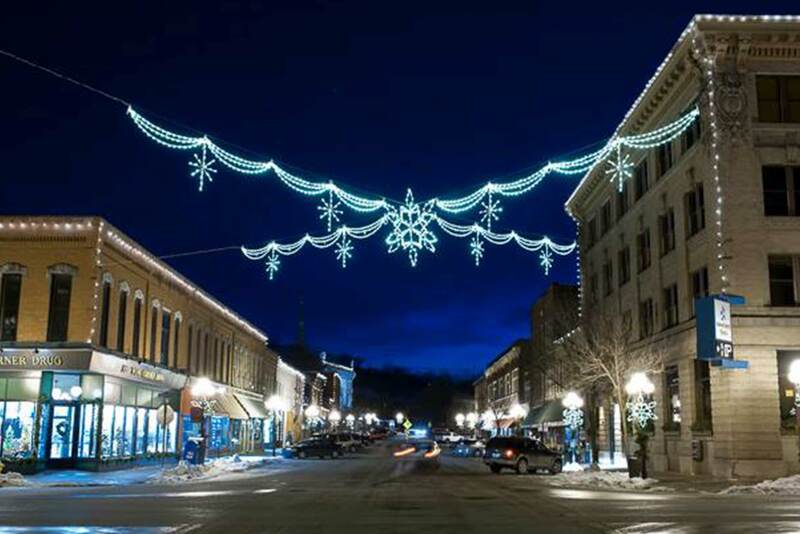 Celebrate the season in downtown Red Wing as we turn on the holiday lights that give downtown a soft, festive glow. You will not want to miss out on this truly mesmerizing experience. 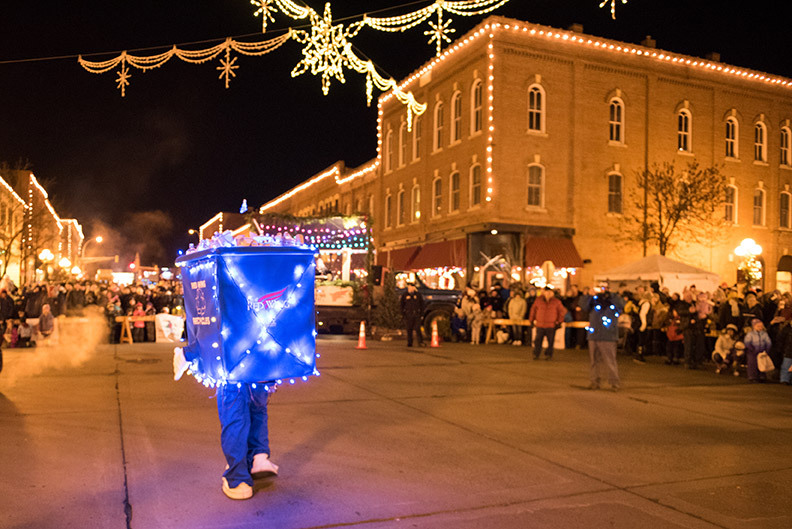 Our festive parade will light up the night and the eyes of little ones. 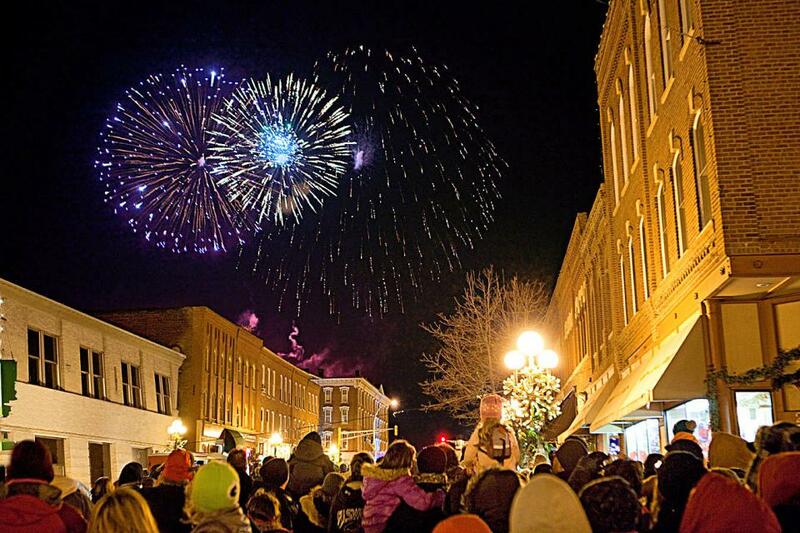 Find a spot along the route and watch holiday themed floats and characters as they stroll through the heart of historic downtown Red Wing, Minn.
We’ll cap off the evening with a spectacular fireworks display over the river that will follow our lighted parade. 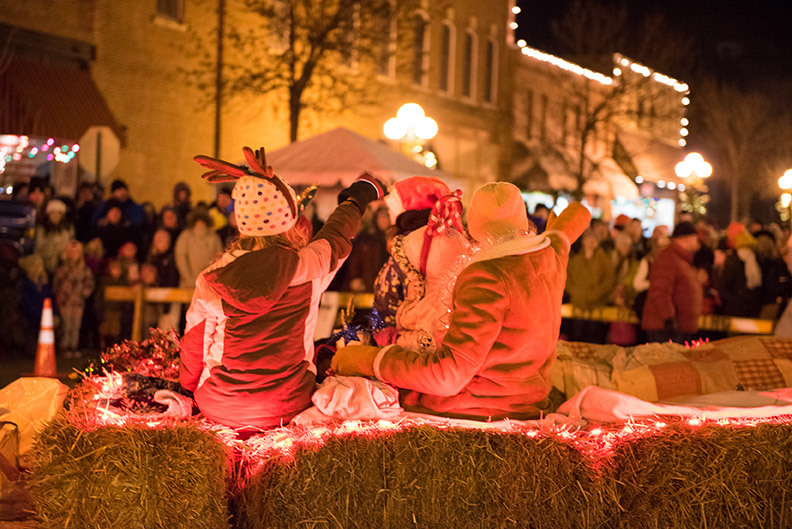 Find a spot along Bush and Main for prime viewing. 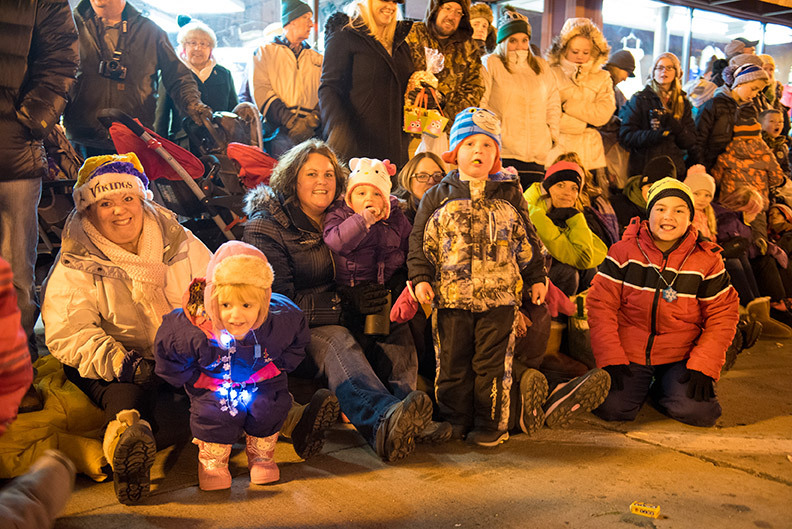 Looking for a sweet way to make some memories at the Holiday Stroll? 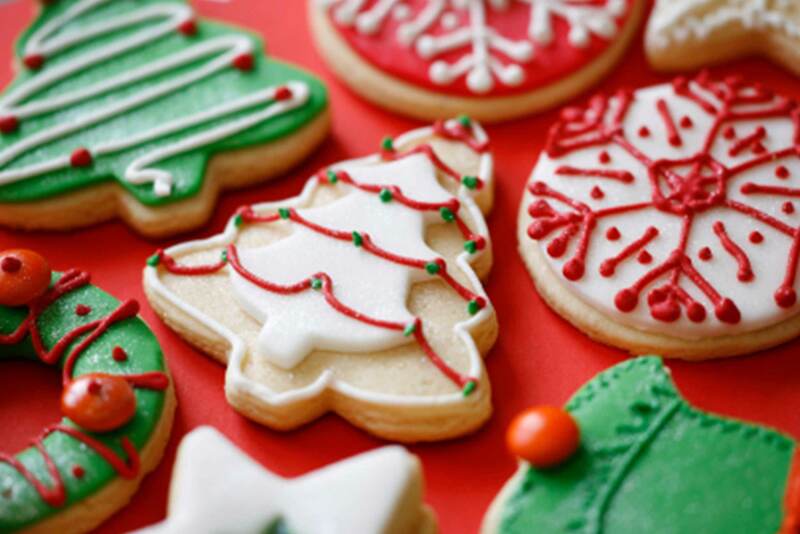 Visit Hanisch Bakery and decorate a holiday cookie with the family. 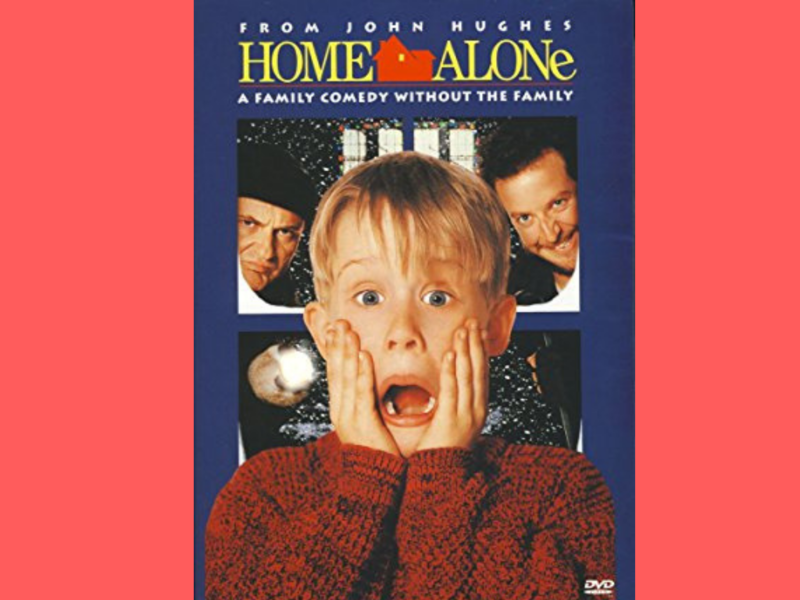 Looking for something fun to do with the family? 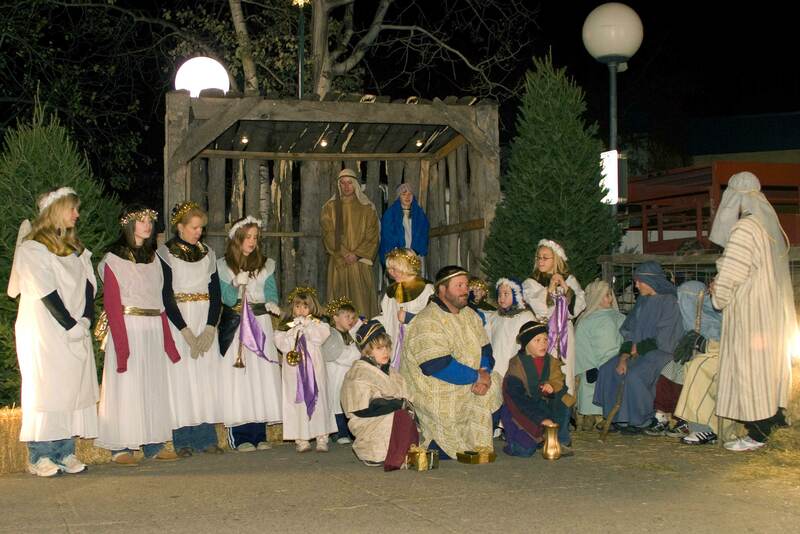 Come witness the live nativity scene outside the historic Christ Episcopal Church, nestled in the heart of downtown Red Wing, Minn.